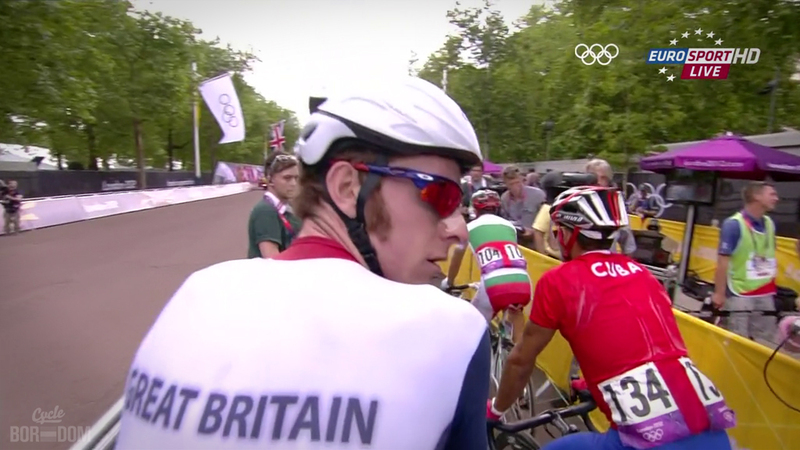 There’s so much goodness surrounding the Men’s #LOLympic Road Race, I don’t know where to start. So let’s sort through the link-vomit on my desktop and see what turns up. First, my favorite part, before my most favoritist part, had to be turning off the television and leaving with 25km to go. Following through Twitter was a minor nightmare as everyone’s feedz were at different times. I swear it was at 19km to go for at least 15 minutes. Then the feed began to change. There was some praying, some hoping, a smattering of desperation, a bit of elation, and a heap of outrage. Apparently, the single worst possible outcome ever was taking place. Disgraced cyclist Alexander Vinokourov, was in a 2 man break (3 if you count Uran’s mullet) that looked like it would stick. It did. I’M IN YER FAIRYTALE, STEALIN’ YER HAPPY ENDING!! Thank you cycling, I’m out. 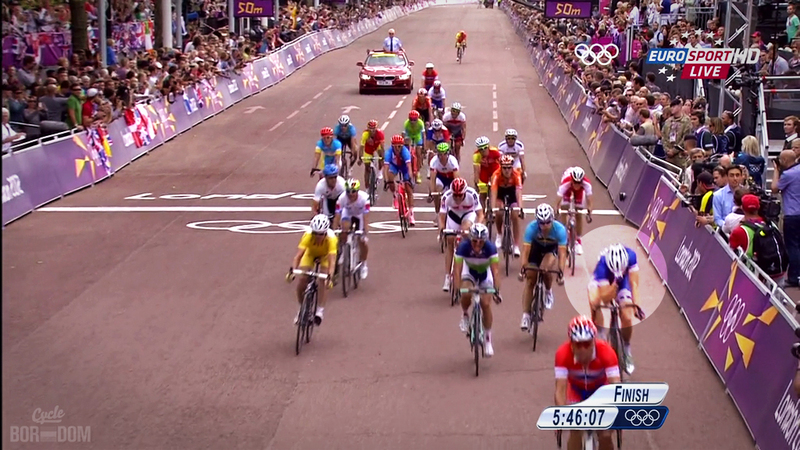 For the record, Rigaberto straight screwed the pooch on the sprint. No payoff conspiracies, just an incredibly ill-timed look back and AV carpe diemed the **** out of him. Truthisms regarding Twitter aside, there were meatier issues at hand. 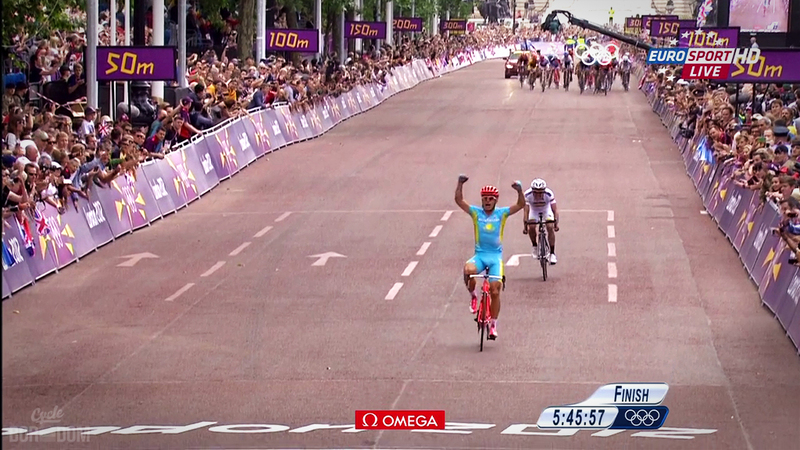 Cycling fans were not happy with Alexander’s win. Neither were some pros. Which brought about this thought. Riders, if you’re so disgusted with Vino’s win, then you should’ve done something about it. Either do everything in your power to prevent him from winning the race short of crashing him, or if you think he’s doping then publically call him out. If you know he’s doping and still you take no action, score yet another win for omertà. That’s on you, peloton. Police your own, or continue this ****ing ridiculous process of keeping your mouths shut as cheaters steal your $$$ and results. Oi mate, get that camera off me back!! What are your thoughts? Some of you agreed that teams raced negatively, others thought the right rider won. The variables of no race radios, and smaller 6-man teams definitely seemed to have a significant impact. A glimpse of the future? A smash of the bars, then head in hand. I absolutely love the fight Taylor has in him. Watching him cross the line in 4th absolutely gutted at his result is a fantastic sign for the future. Luckily, he’s only 22. He’ll be 26 for the next games. If he races as long as the 2012 gold medallist does, he has 4 more Olympic games ahead of him. I like those odds. – Edward Pickering (@EdwardPickering) had a nice post on Cycle Sport expounding upon the nuances of the race, including how the race played out for the Brits. – Seemed there were some grumblings regarding the BBC’s coverage, or more accurately, their lack of timing info. Turns out it wasn’t BBC’s fault, but that of the OBS (Olympic Broadcasting Services). The @UCI_Overlord gleefully explained that our (and his) old friend Hein Verbruggen is on the board of directors. Cycling is in the hands of theives, folks. – Chris Horner details the horrors of some unexpected changes in racing norms. – Lastly, The Daily Mail keeps it classy, as always.